CAT 6 & CAT6A FTP Connection module. Termination : Phosphor Bronze tin plated. Compliant with EIA/TIA specifications : Gold Plating 3U"-50U". Suitable for cables with solid wirefrom AWG 24 to AWG 22. 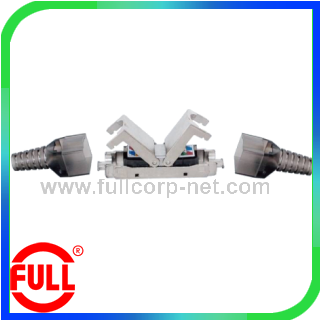 Suitable for cadles with outer diameterfrom 5 to 9.5 mm. Color-coded label for T568A or T568B wiring schemes.